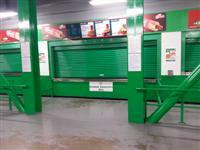 The opening times vary depending on matches and events taking place at the stadium. You are on Outside Access (West Executive Entrance). Skip to the next section. The door opening is 210cm (6ft 11in) wide. 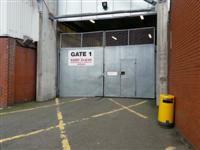 On match days there is a steward stationed at the entrance to provide assistance. 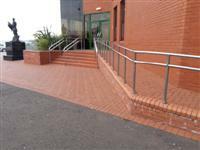 This entrance gives access to the designated wheelchair spaces on the North Stand. You are on Outside Access (Gate 2). Skip to the next section. This information is for the entrance located at front of the South Stand. The door opening is 300cm (9ft 10in) wide. 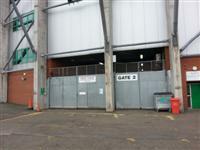 You are on Outside Access (East Stand - Home Fans). Skip to the next section. You are on Outside Access (Gate 1). Skip to the next section. The door opening is 540cm (17ft 9in) wide. 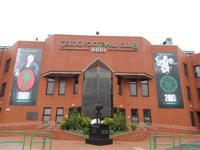 This entrance is used for away supporters except during Champions League or Old Firm matches. You are on Level Change (Gate 1). Skip to the next section. You are on Outside Access (Away Supporters). Skip to the next section. 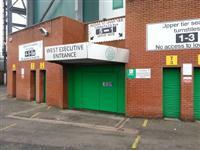 On match days there is a steward stationed at the entrance to provide assistance. .
You are on Reception (Main Entrance). Skip to the next section. You are on Outside Access (Ticket Office). Skip to the next section. 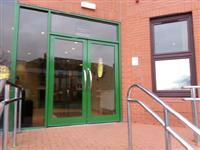 The reception desk is 3m (9ft 10in) from the ticket office entrance. There are two portable hearing loops available. There are lowered food service counters near to the designated seating areas. 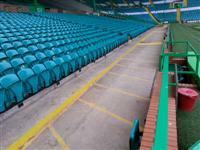 There are 130 Designated wheelchair spaces in the stadium, located at the front of the South and North Stand and in the upper tiers of the West and East Stands. 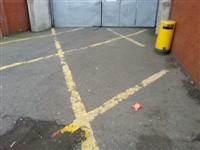 Next to the designated spaces there are 126 spaces for carers. 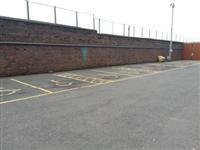 There are 26 ambulant spaces and 25 spaces for accompanying carers. There are 38 spaces on the South Standfor fans with a visual impairment plus spaces for two audio description commentators. 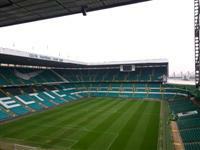 The designated spaces for the home supporters are located along the front of the South, North and upper tier of the West Stands. The designated spaces for the away supporters are located at the front of the south corner of the East Stand and the upper East Stand tier. The number of spaces varies depending on fixtures and opposition. 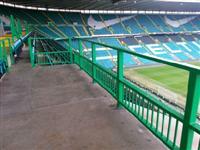 There are similar sets of stairs around the stadium which go to the lower ground floor. You are on Lift (West Stand). Skip to the next section. 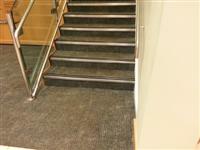 The floors which are accessible by this lift are LG-G-1-2-3-4-5. The clear door width is 77cm (2ft 6in). The dimensions of the lift are 115cm x 130cm (3ft 9in x 4ft 3in). There are similar lifts in each corner of the ground. 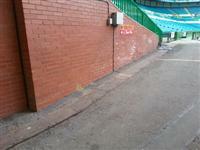 You are on Accessible Toilet (South Stand - West Corner). Skip to the next section. 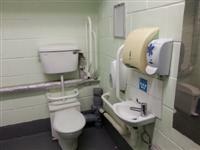 The dimensions of the accessible toilet are 150cm x 280cm (4ft 11in x 9ft 2in). There are two similar accessible toilets, one with a lateral transfer space on the left and one with lateral transfer space on the right. 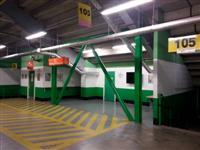 You are on Level Change (South Stand - West Corner Accessible Toilet). Skip to the next section. 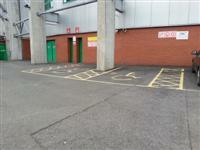 You are on Accessible Toilet (West Stand Upper). Skip to the next section. 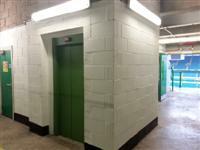 The accessible toilet is 4m (13ft 1in) from the West Stand lift. The dimensions of the accessible toilet are 150cm x 195cm (4ft 11in x 6ft 5in). 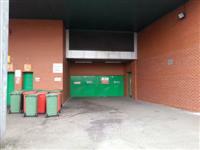 There is a similar accessible toilet in the East Stand Upper. In the North Stand there are six similar accessible toilets with the lateral transfer space on the left and 6 with the lateral transfer space on the right. You are on Accessible Toilet (East Stand - Away Fans). Skip to the next section. The dimensions of the accessible toilet are 185cm x 270cm (6ft 1in x 8ft 10in). There is a similar accessible toilet with the lateral transfer space on the right. The female and male toilets are located throughout the stadium.